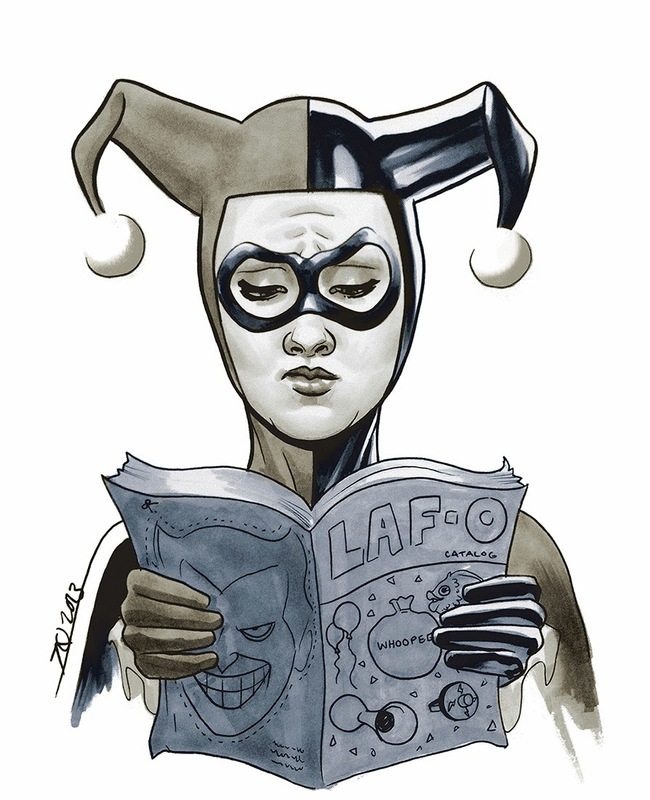 Joe Quinones' interweb-log: Harley Browsing. Shoppin' for Mistah J, with Harley Quinn. From Thought Bubble Comic Con, 2013. Pen & ink, with Copic markers on 9x12" bristol.